Spooky Sausage Rolls: Great For Halloween. Spooky Sausage Rolls anyone? Are you children a fan of Halloween and like all things spooky? Do they love sausage rolls? 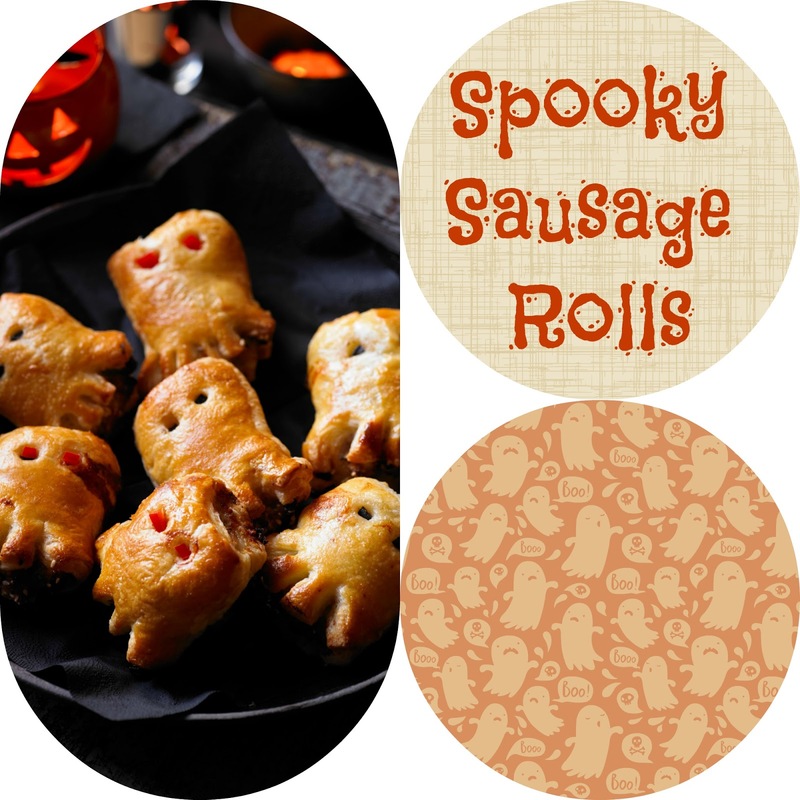 If so why not try out these spooky sausage rolls. This fun recipe and get the kids involved in the perfect Halloween or after school treat. Preheat the oven to 200ºC, gas mark 6. Thinly slice the leek. Heat the oil in a frying pan and cook the leek for 5 minutes until softened. Tip the leeks into a large bowl and add the sausage meat and sesame seeds. Mix well together. 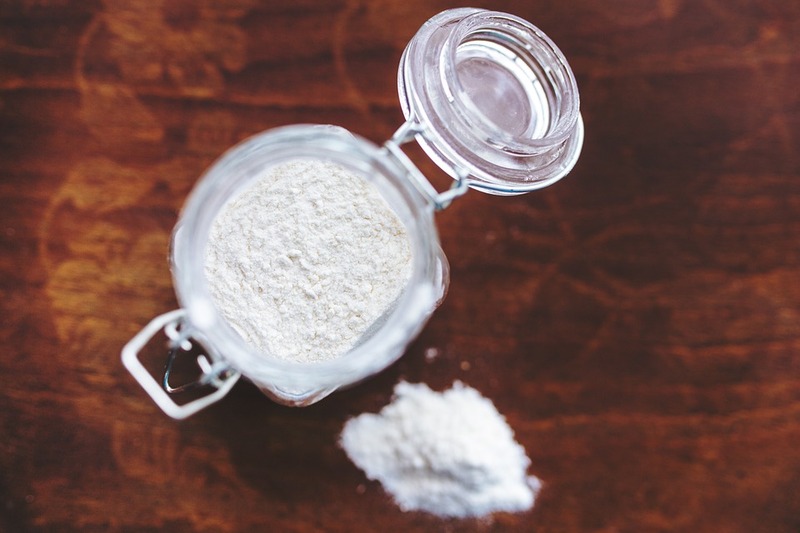 On a lightly floured surface, open out the pastry sheets and cut each in half lengthways to give 4 long strips. Quarter the sausage mixture and position down the centre of each strip. Dampen the edges with a little water then roll up to seal. Lay the rolls sealed-side down then cut each into 4 lengths. Pinch the top of each sausage roll together at the top then snip the bottom of each one in a zig-zag pattern to make a ghost-like outline. Make 2 holes at the top and push in tiny pieces of red pepper or olives for the eyes. Place on 2 large parchment-lined baking sheets and chill for 30 minutes if you have time. Beat together the egg and milk and brush over the sausage rolls. Bake for 20–25 minutes until puffed and golden. Cool a little before serving. 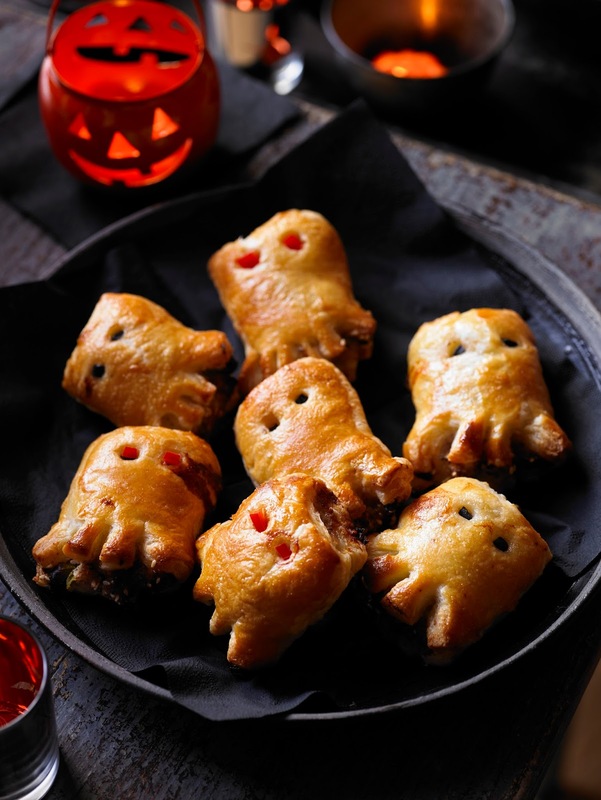 What do you think of this Spooky Sausage Rolls recipe? 3 more Easy Pasta Recipes.. SO cute!! They sound yummy too! 🙂 I would love for you to share this with my Facebook Group for recipes, crafts, tips, and tricks. Thanks for joining Cooking and Crafting with J & J!